Complete Records Management, Inc. specializes in electronic document and records management and electronic archive solutions for government agencies, the commercial and business world, hospitals, physicians and healthcare facilities and independent school districts in the USA. By using our services, our clients eliminate the need to acquire specialized software and equipment for storing, retrieving and viewing their records and documents. They save time, and money plus improve their services to their own clients. Originally our company was formed to help alleviate the mounting head-ache of governmental paperwork that is created on a daily basis. Working closely with several county governments we have expanded and refined the services that we offer. These services are also extremely useful in other fields - commercial, healthcare and school districts particularly. We strongly believe that this kind of attention to quality as it pertains to our product and service makes us the best fit for our clients. 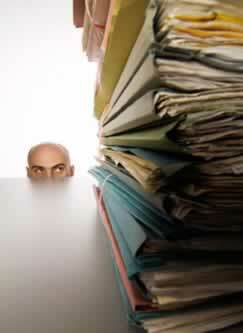 Complete Records Management is proud to serve you with speed, efficiency and good humor.